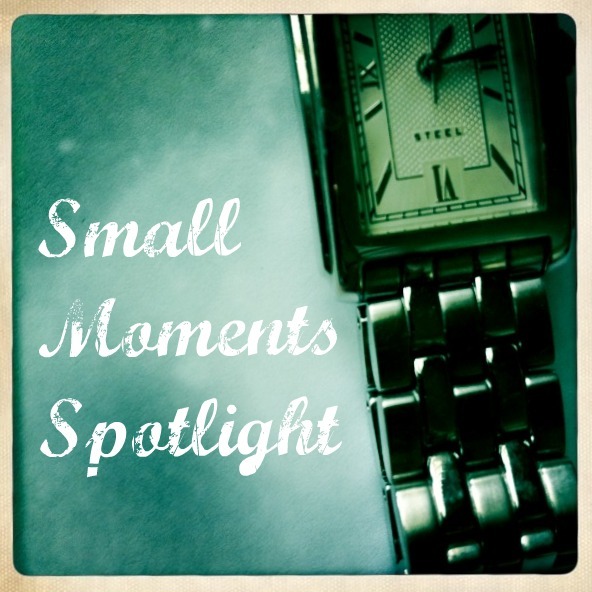 In this week’s Small Moment Spotlight, I have two lovely posts to share with you. 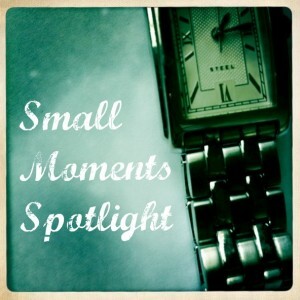 The first post is from Alison, who blogs over at this homemade life. Her post, Spring, is light on words, heavy on gorgeous photography, and just brimming with appreciation of one of the small joys in life. Alison’s photography never fails to tell a story and pull me in. Her blog is one of my absolute favorites. The second post, I’ll Be There, is from Cheryl of Mommy Pants. This post was featured over at our friend Gigi’s place, Kludgy Mom. One of the things that I love most about Cheryl is that she gets stuff done. She’s no-nonsense, calm, and logical. This post, however, shows her softer side, a side that I love. Don’t miss this piece! If you’ve submitted something to me recently and it isn’t featured here, that might just mean that I’m saving it to feature in the coming weeks. If you have read or written a post that captures a small moment, please use my “contact me” tab (it’s up there at the top in the navigation bar) and send me the link. I’d love to feature it here. I'm having problems with BlogLovin and I saw at a site your blog was put at their site without you asking. For how long they had your posts there?